As baseball playoffs approach, there is some uncertainty over whether or not the Lancers will be attending and competing. record for 2017 is 27-15 overall, holding an 18-10 record in the PacWest Conference. Gary Adcock, head coach, said advancing to playoffs is a goal that requires focusing on one game at a time. “With the last four series, we are just trying to stay on a single game focus theme. Sometimes when we get away from the simple approach we have struggled,” Adcock said. Adcock also said the team will only reach this if they are able to keep things simple. “(We will only achieve making it to playoffs if we) believe, do what we do, be great teammates and play the game, not the opponent,” said Adcock. Ryan Williams, junior kinesiology major and outfielder, said in order to make it to playoffs, the team needs to have faith and put its best foot forward. Williams also said injuries and trying to remain healthy have been a huge component while training for playoffs. Furthermore, Williams said the overall goal is not making it to playoffs but shooting for a national title. The team still has a couple games before postseason spots are determined. If they qualify, the Lancers will attend West Regionals May 18-22. The team hosted its last home series of the season against University of Hawaii at Hilo, sweeping the series 3-0. 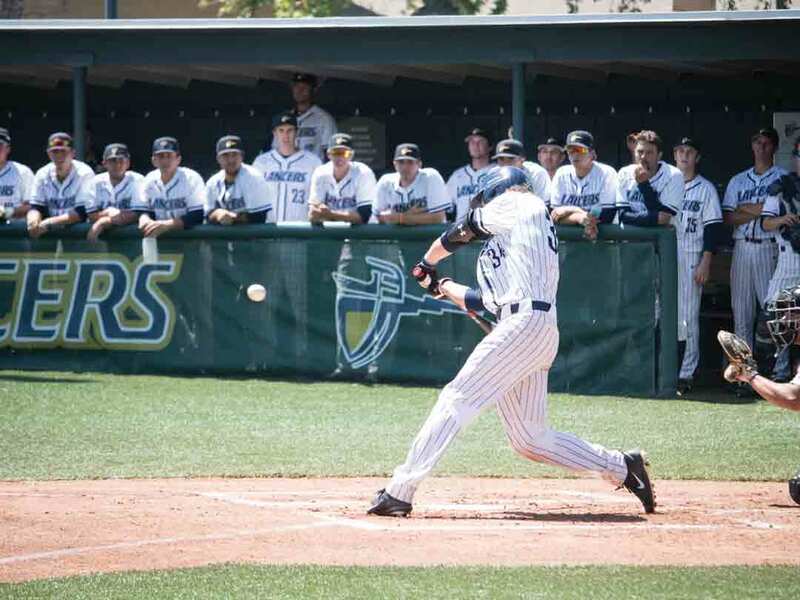 The Lancers will ride the wave to Irvine, Calif., to face Concordia University Irvine May 5.